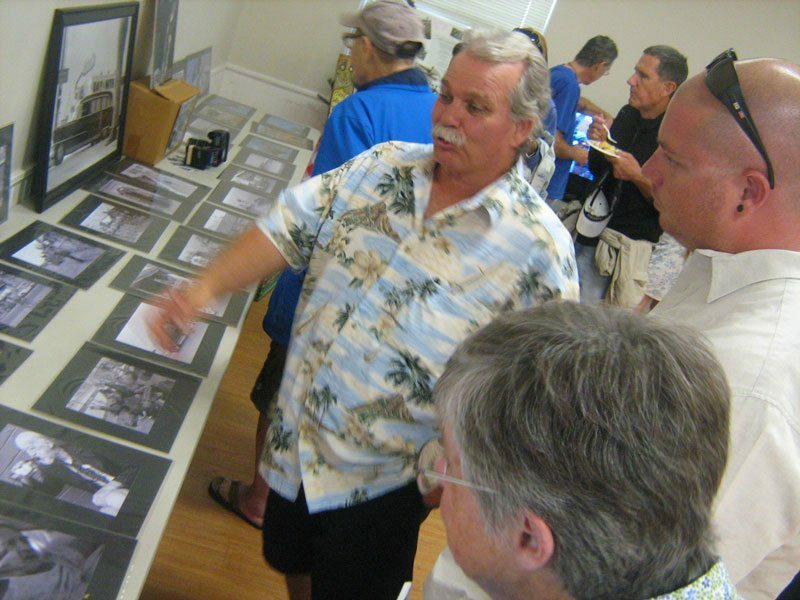 The Ocean Beach Historical Society hosted the 16th annual OB Exposed! photo contest at the Masonic Center on Friday, May 21. As usual, the event was an enjoyable celebration of local photographs and the shutterbugs who snap them. Noah Tafolla (in gray shirt) and others discuss a contest entry. 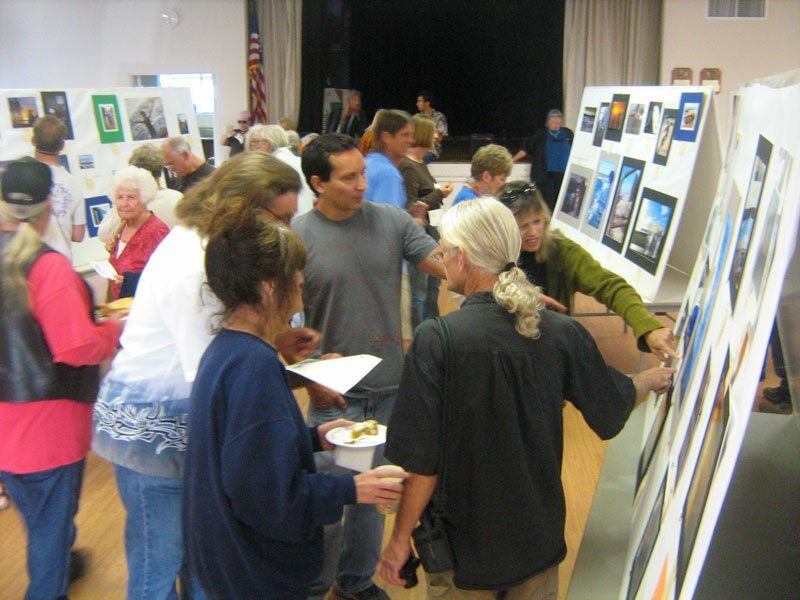 Over the course of a couple hours, more than 100 people perused the entries, voted for the “people’s choice” winner, and enjoyed free food and drink. Ocean Beach native Noah Tafolla, creator of the KPBS TV series Wonderland, announced the contest winners, which were selected by a panel of judges. Each year, OB Exposed! 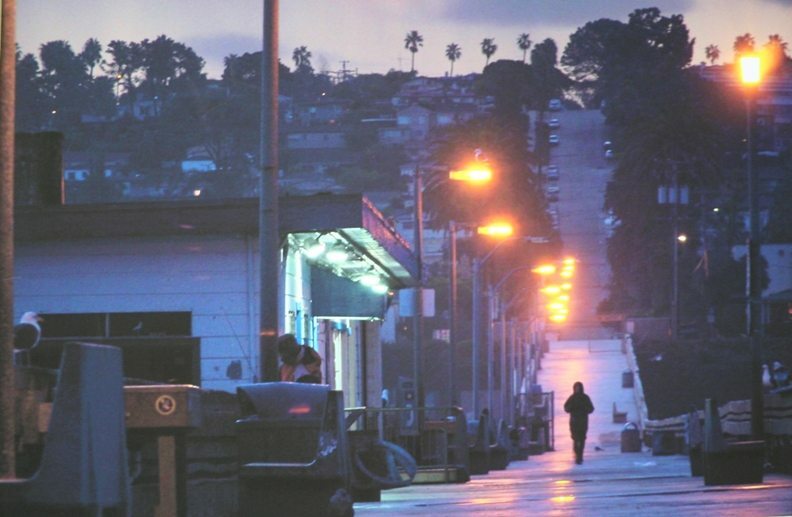 invites photographers of all skill levels to submit photos taken in Ocean Beach or neighboring Point Loma. Typically, popular subjects among the dozens of entries include local people, local pets, sunsets, and the mighty Pacific. 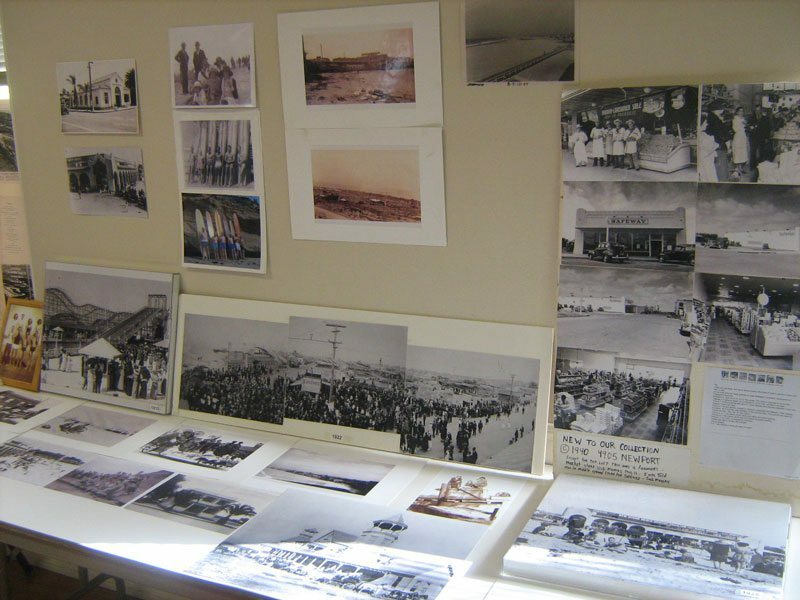 In addition to the contest, the event featured exhibits such as a selection of pictures from the Historical Society’s archive, which includes OB snapshots dating back to the early 1900s. Kathy Blavatt set up a tribute to the Wishing Arch from Ebers Street, which — after many years and thousands of wishes — was recently retired due to termite damage. 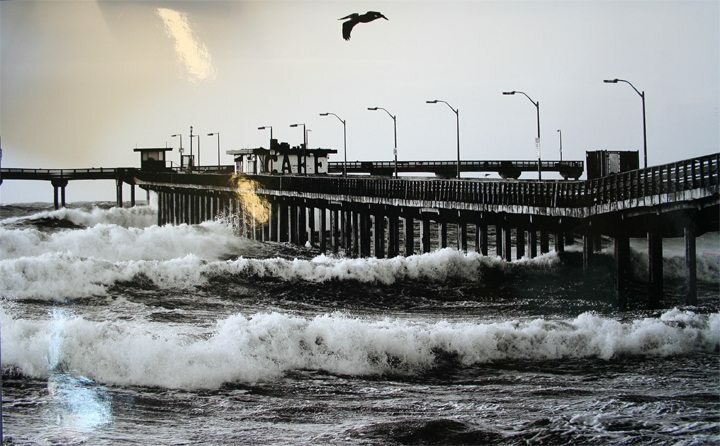 Jim Grant, a frequent contributor of photos to The OB Rag, displayed a framed print of several shots capturing the visual splendor of the OB area. Steve Rowell shows some of his vintage OB photos. 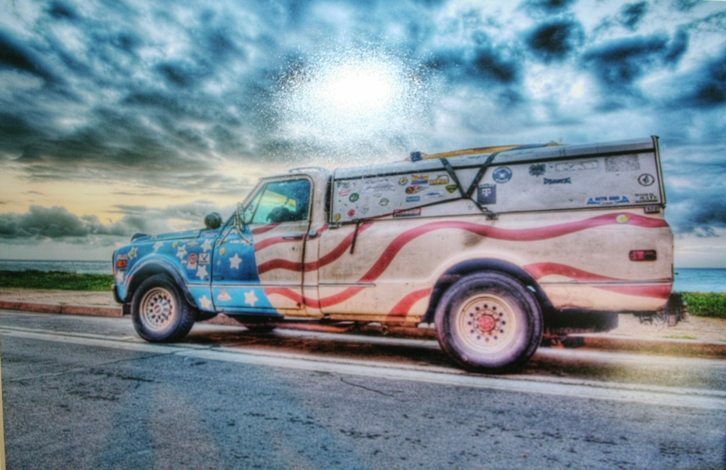 Steve Rowell, a photographer who has lived in OB for decades, also shared his work. Steve showed several beautiful black-and-white shots dating back to the 1960s, including pictures from the Labor Day 1968 “riot” on Long Branch Avenue. His more recent photos include full-color portraits of the pair of ospreys that have raised multiple generations of offspring near Robb Field. Jim, Steve, and many of the other local photographers in attendance — not wasting any time before next year’s contest — brought their cameras and captured plenty of the show’s Kodak moments. Tip of the hat to Susan and Pat James for providing the photos of the winners. 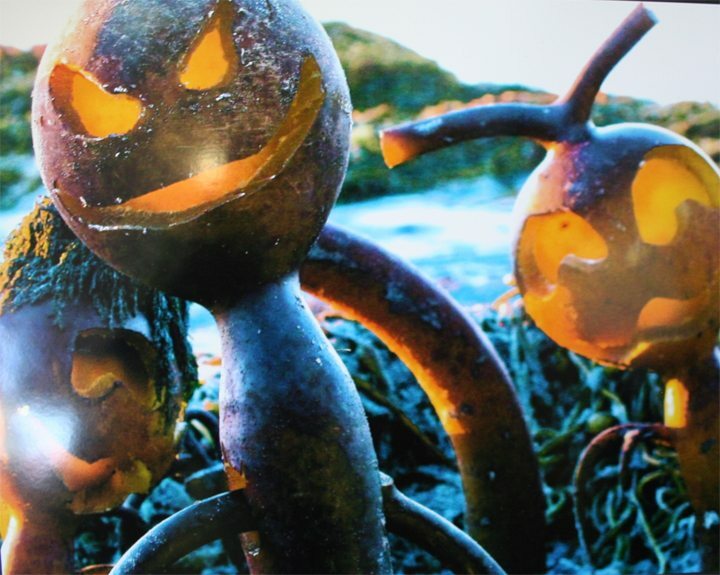 I’m a fan of Kenny James’s seaweed sculptures, wow! No shiz, those things are amazing! Kenny James had quite a few photos displayed, all of which were visually stunning. We have quite a lot of talent in our town. Congrats to everyone involved! And thanks to the OB Historical Society for putting on such a great event every year. We’re bummed we missed it. Thanks to Shane we had it covered. Because of this contest two ol’ Ragsters from the original paper are getting together. I recognized the name of the person who submitted the historical photo as the father – now deceased – of one of the original staff members of the Rag, Tom Cairns, who lives in northern Calif. We got on the phone and will be getting together later this week. His mom had just recently passed away and he was in town for her service and to assist in dealing with her things. It’s really cool your going to hook up with Tom. It was a great event. 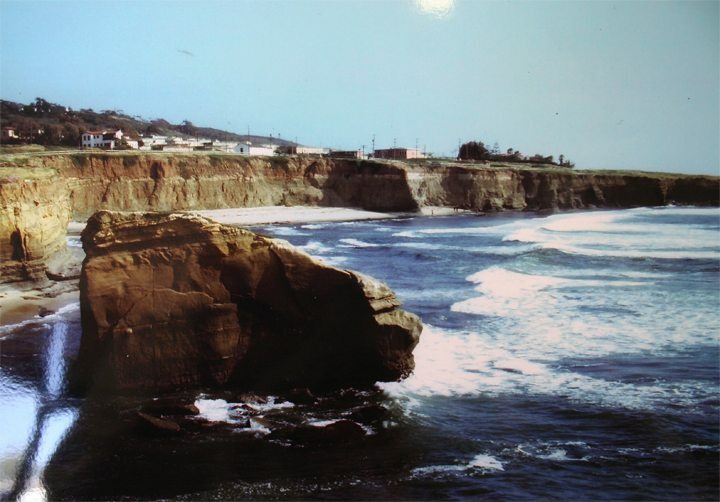 Toms entry was a really classic shot of Sunset Cliffs in 1949 showing the WWII military housing (Azure Vista) . I have heard a lot about it but haven’t seen a lot of photos of it. But it’s not just about the photos. It’s also connecting the community with the history, and each other. I’ve seen reunions at these events time and time again. It’s very gratifying and makes it all worthwhile. Thanks to the Rag for helping spread the word, and to all those who contributed. Anybody: that historical picture of the cliffs during WWII is awesome! But where is Needles Eye? Also, I recommend that next year the History Society have a category just for OB Pier photographs. There’s always so many. no wonder my heart dwells in OB. while pictures say it so well, these really capture the local essence of this peaceful little town. keep on clicking you shutterbugs,, these are great.